“Main Street,” whether in a town or city, symbolizes small business and everyday hard-working citizens. 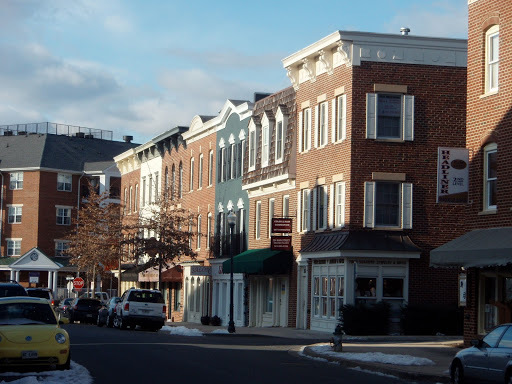 In a small town context, Main Street gains mythic ideals: it is non-corporate; it is imagined to be completely separate from urban society and its ills; it is believed to be solely guided by local people and ideas. Politicians and urban planners have attempted to recreate the small town American Main Street in revitalization building and suburbia. But professional planners are distracted by the myths of Main Street, dangerously basing policy and design decisions on nostalgia and artifice. Were these officials to examine Main Street’s developmental history during its boom period (1870-1930), they would see innovation and programming applicable to contemporary challenges in urban design. The Myths of Main Street uses archival evidence to bring critical developmental history to contemporary planning practice, providing policy makers and the public a way to “occupy” Main Street, mobilizing it as a model for innovative development today. Acquisitions editors at Cornell University Press, Columbia University Press, and Oxford University Press have expressed interest in publishing The Myths of Main Street. That’s right, this street was not built in 1889, but one hundred years later. Described in promotional literature as “more than just a stripmall,” but instead a “lifestyle center” offering “delightful outdoor shopping in a quaint small town atmosphere.” Big Box stores there include WalMart and Old Navy. In Exton, PA and owned/operated by the Wolfson Group, Inc. Designed by: Thomas Comitta Associates, Scott Griffin Architects, and others. Completed in 2003.